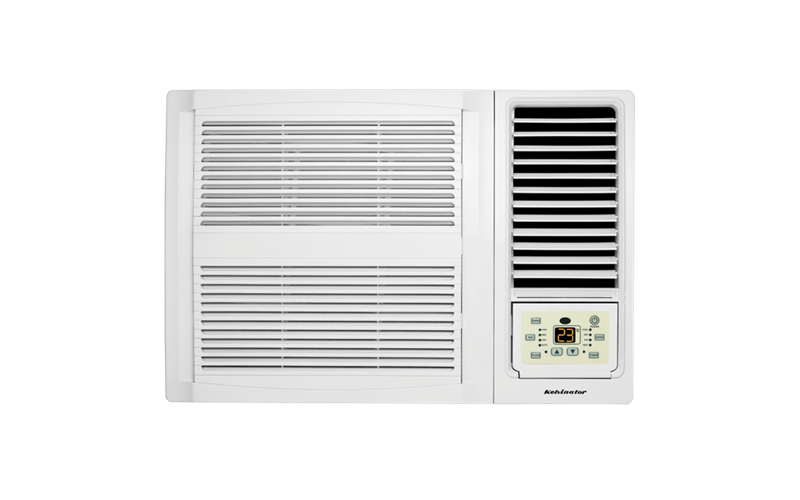 Window Wall Reverse Cycle Air Conditioner 2.2kW is rated 4.7 out of 5 by 34. Ever popular, window/wall models give you the comfort of reverse cycle air conditioning without the need for expensive installation. In fact, some models are so relatively easy to install you could even do it yourself. Rated 4 out of 5 by DavidW from Almost Perfect I bought this to replace a portable air conditioner which cost a fortune to run. This unit cools much faster, quieter, and has many more features for less than 20% of the running cost. I'm very happy with the cooling and most features, and it's much quieter than I'd expected. The Energy Saver works very well. My only complaint is the timers. It seems that the on-timer must be manually set every day, where the off-timer maintains it's setting until changed, and starts counting when the unit turns on - regardless of what mode is used (fan, cooling, heating, fast cool, etc.). The unit has an inbuilt clock - how hard can it be to have the timers use that clock, instead of 1/2 hour increments needing to be set manually every day? That's the only reason this doesn't get 5 stars from me. So close to perfect! Rated 5 out of 5 by David1023 from Great kelvinator Extremely happy with this product it does exactly what it says it does and hasn't skipped a beat. Great value for money.